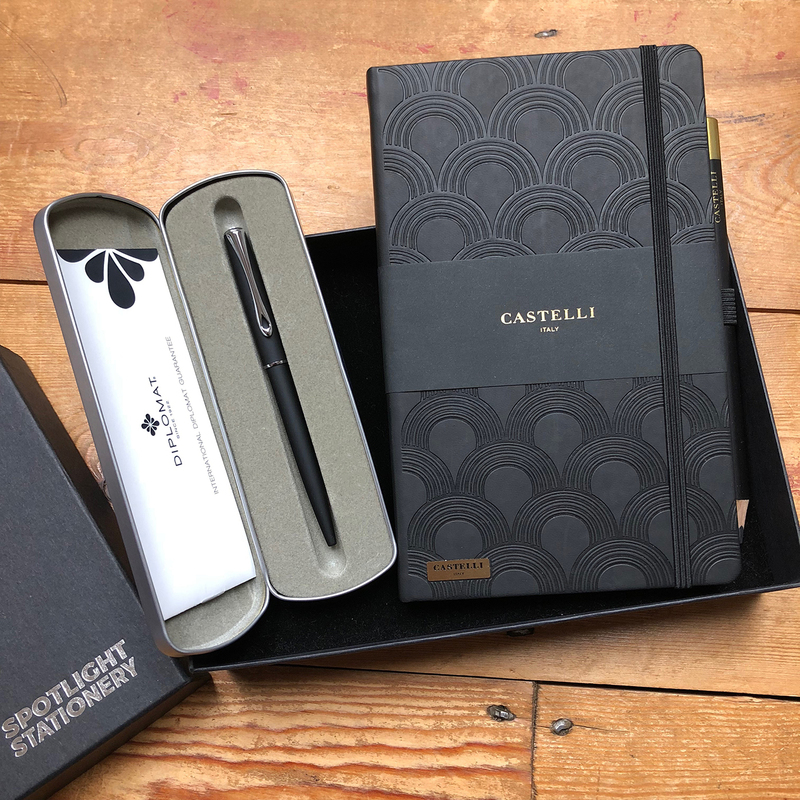 The journal: a beautiful Castelli journal with an art deco design embossing, with lined pages, elastic closure band, pen loop, pencil and a cardboard pocket at the rear. The pen: Diplomat Traveller black lapis ballpoint pen in a silver presentation tin. The set is packaged in a Spotlight Stationery rigid lidded box.